Your San Diego History Seeker first came across the phrase “remittance man” when researching the history of the Ellis Hotel. This building had been a prominent landmark in downtown Fallbrook for almost 70 years until its demolition in 1958. In its heyday from 1911 to the early 1920s it was a popular venue for county, civic and business events and drew visitors from across the nation and the world. That same year, the remittance boys of Fallbrook made a much nicer impression, recalled some years later in the Fallbrook Enterprise. A Mr. Stinton, on a driving trip from San Diego to Santa Monica with his wife and young son, hit a heavy rainstorm which caused the car’s fabric roof to leak. They pulled into Fallbrook to ride out the storm, checking into the Ellis, and wound up staying two days. On the day of his departure, Stinton was presented with “$12 in payment for the Locomobile rides.” He must have appreciated the hospitality, because Stinton ultimately moved to Fallbrook. Sources for this post included the archives of the Fallbrook Historical Society and historic San Diego newspapers. Escondido History Center and Escondido Citizens Ecology Committee co-sponsor Tuesday evening walking tours of historic city sites twice a month from April through August. For details visit: http://www.escondidohistory.org/2014_walking_tour_brochure.pdf . When I give a talk on the history of Rancho Bernardo, I always get chuckles when I describe the case of Don Jose Snook. Snook was an Englishman by birth, born in Weymouth, Dorsetshire on the southern coast of England in 1798 into a family of agricultural laborers. Seeking a better life, he went to sea, and by 1830 he was a captain, commanding ships for merchants trading goods between ports in California, Mexico and Peru. California was then Alta California, a province of Mexico. After winning its independence from Spain in 1821, Mexico was anxious to colonize its northernmost territories, fearing, as the Spaniards had, the encroachment of foreign powers including the United States. So the Mexican government offered massive tracts of land to anyone agreeing to settle on and work the lands. During his times ashore in California, Captain Snook fell in love with the place and wished to acquire some land. In order to do so under the then Mexican government, Snook had to become a Catholic and a Mexican citizen. So in April 1833 he petitioned for a letter of naturalization. It was granted two years later, and in November 1835 he was baptized. The baptism took place at Mission Santa Clara in northern California. The baptismal record, in the mission archives in Santa Barbara, gives his birth name and also the baptismal name he chose, Jose Francisco de Sales. There is a reference to his being of English descent, and of Protestant religion. From thenceforward, he would become Jose Francisco de Sales Snook. Sounding out that name for an audience, with a slight pause before “Snook,” always elicits the chuckles. Snook’s baptism occurred in northern California because he apparently liked it better up there. Jose acquired a grant for a rancho north of San Francisco in 1836, hoping to settle down there with Maria Antonia Alvarado, the daughter of a prominent San Diego family, whom he wished to marry. Don Jose and Maria did indeed marry in 1837. However, Maria didn’t want to live in an area that was then the northern frontier of Alta California, and her young husband soon sold the rancho there. Sometime in 1841 Don Jose petitioned Mexican authorities to grant him the then-vacant Rancho San Bernardo. Territorial governor Juan Bautista Alvarado, who happened to be a cousin of Maria’s father, approved the grant in February 1842. Don Jose Snook was far from the only person from an Anglo background to go through such a metamorphosis in Mexican California. Some of the numerous examples include John Forster, another Englishman who became Don Juan Forster and owned several ranches in the San Diego area. And how about Jonathan Trumbull Warner, a Connecticut Yankee who became Juan Jose Warner, proprietor of the ranch and springs that still bear his name? Early examples of multiculturalism? Or the melting pot? Or a merger of both? Hey, that’s history for you. Sources for this post included the essay, “Joseph Snook: English Mariner, California Don,” by Ruth Collings, from the Fall 1997 issue of The Journal of San Diego History, the Santa Barbara Mission Archive-Library, and two books, Some Old Ranchos and Adobes by Philip S. Rush and History of San Diego County Ranchos by Robert W. Brackett. Since April is the month for filing income taxes, the History Seeker looks back to an earlier and historically significant filing deadline. The first federal income tax had been passed by Congress during the Civil War, then repealed in 1872. Congress passed another one in 1894 only to have it struck down as unconstitutional by the U. S. Supreme Court. The sixteenth amendment to the U.S. Constitution, passed by Congress in 1909 and ratified by the requisite number of state legislatures by early 1913, established the federal power to tax incomes. An income tax was included in tariff legislation passed by Congress in October 1913 and signed by President Woodrow Wilson the same month, with a tax filing deadline set for March 1, 1914. In the months between the law’s passage and the filing deadline, the San Diego Union ran a daily “Income Tax” column publishing readers’ questions and providing answers on how to comply with the new law. Several columns provide a picture of how San Diegans dealt with tax preparation at that point. The column of February 22 reported on “a puzzled real estate dealer…who applied to the financial department of the Union yesterday” to determine how much of his gross income was taxable. The deputy had received more returns on that last Saturday “than on any one day since filing returns began,” stated the Union. Those returns were from San Diego residents. From the number of returns posted to that point, it appeared “practically a certain thing” that many San Diegans would be paying penalties for late filing. File all that under The More Things Change, Etc. Rancho Bernardo Historical Society’s Speakers Series will present a free program featuring Jack Larimer, Director of the Vista Historical Society and Museum, on Wednesday, April 16, at 10 a.m. For details visit http://www.rbhistoricalsociety.org/ . The notes contained in this book were taken from March to May, 1889, and from March to July, 1894, at Twin Oaks in southern California. A-Birding On A Bronco is a remarkable book by a remarkable person. 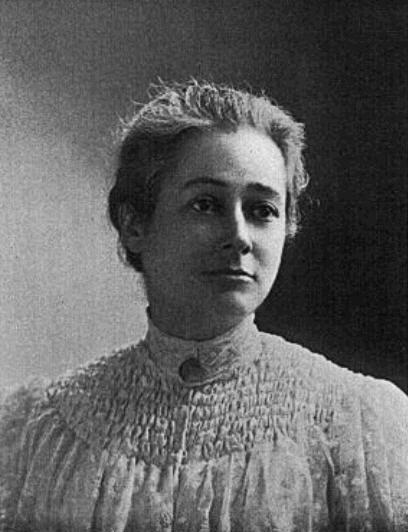 Florence Augusta Merriam Bailey (as she would be known professionally after her 1899 marriage to Vernon Bailey) was a pioneer in the fields of ornithology and nature writing. 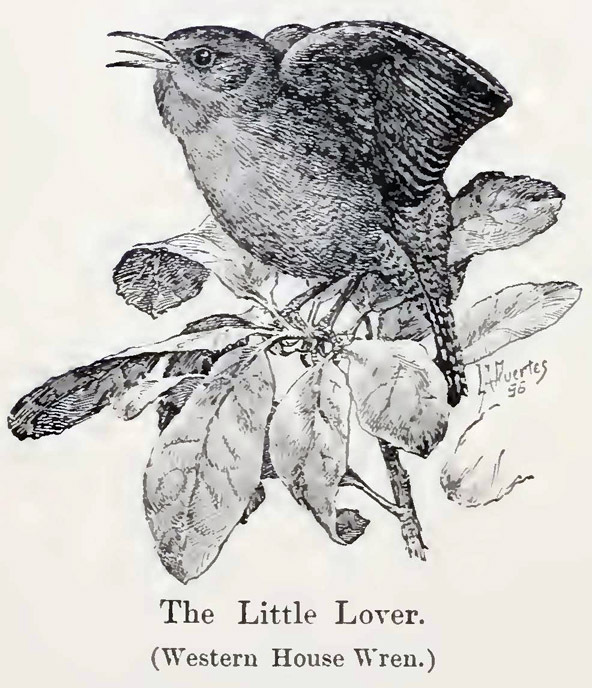 Her first book, Birds Through An Opera Glass, published in 1889, is considered the first modern field guide for birdwatchers. At a time when most bird study was still based on studying specimens killed and brought into a laboratory, Bailey preferred to study them in the wild, on foot or horseback. “I had no gun, but was armed with opera-glass and note-book,” she says on page one of A-Birding On A Bronco, her third book, published in 1896. The Twin Oaks Valley, today part of San Marcos, then held the homestead of Florence’s uncle, Major Gustavus Merriam. Originally from upstate New York, Gustavus was the first European-American to settle in the area, in 1875. He’d named his ranch Twin Oaks after two joined 70-foot oak trees on the grounds. 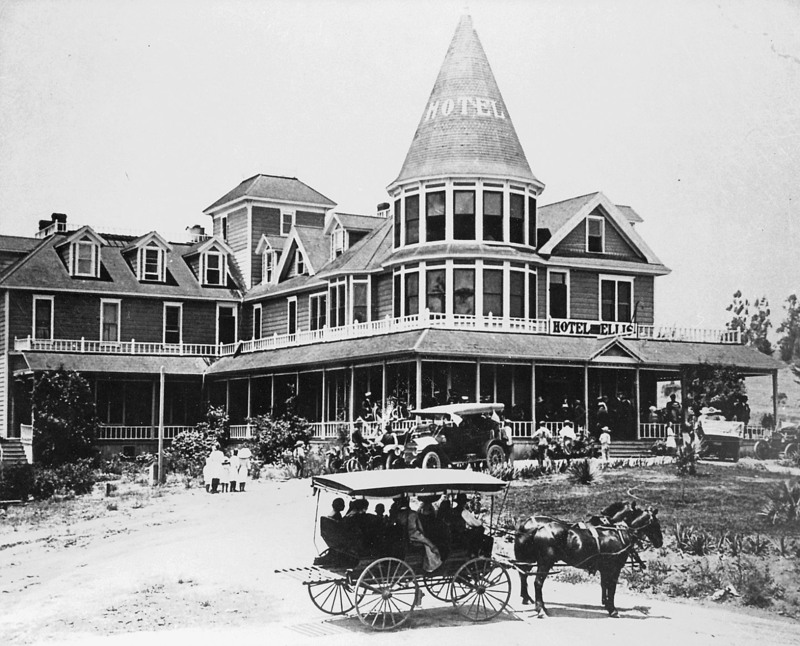 By the time that Florence and her father Clinton Merriam, who still lived in New York, came to visit in 1889, the name Twin Oaks had come to be applied to the whole valley. Bailey offers detailed observations of valley birds hunting, nesting, singing. She writes with the sensibility of a scientist, but with a humanistic and poetic sensibility as well. In the East we are accustomed to speak of ‘the peace of evening,’ but in southern California in spring there is a peculiar interval of warmth and rest, a langorous pause in the growth of the morning, between the disappearance of the night fog and the coming of the cool trade wind, when the southern sun shines full into the little valleys, and the peace of the morning is so deep and serene that the labor of the day seems done. Nature appears to be slumbering. She is aroused slowly and gently by the soft breaths that come in from the Pacific. And that’s just the first half of the paragraph. A sunset description is just as good. See for yourself. The book is in the public domain at www.archive.org . Every second Tuesday of the month the San Diego History Center invites local community and cultural groups to celebrate their history with exhibits in the center’s atrium. This Tuesday, April 8 from 10 a.m. to 5 p.m., north county communities will be represented. For further info visit http://www.sandiegohistory.org/calendar/detail/57836 . The Rancho Bernardo Historical Society’s Speakers Series will present a free program featuring Jack Larimer, Director of the Vista Historical Society and Museum, on Wednesday, April 16, at 10 a.m. For details visit http://www.rbhistoricalsociety.org/ .